Last night I decided I wanted a flatbread melt, but with another twist! 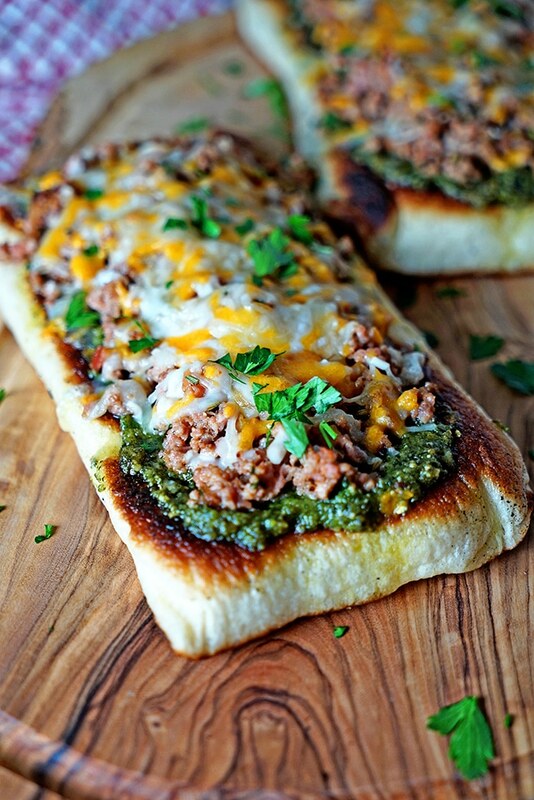 I’ve made my Chipotle Cheeseburger Flatbread Melts and Italian Sausage Pesto Flatbread Melts before, but the flavors of the Mediterranean were calling me! Looking in my refrigerator I searched for the goods. I had a can of Pillsbury Pizza Dough. Check. I had ground lamb. Check. Feta cheese. Check. I had chickpeas to make the hummus and a pan fried crunchy topping. Check. OK, I was set to go. 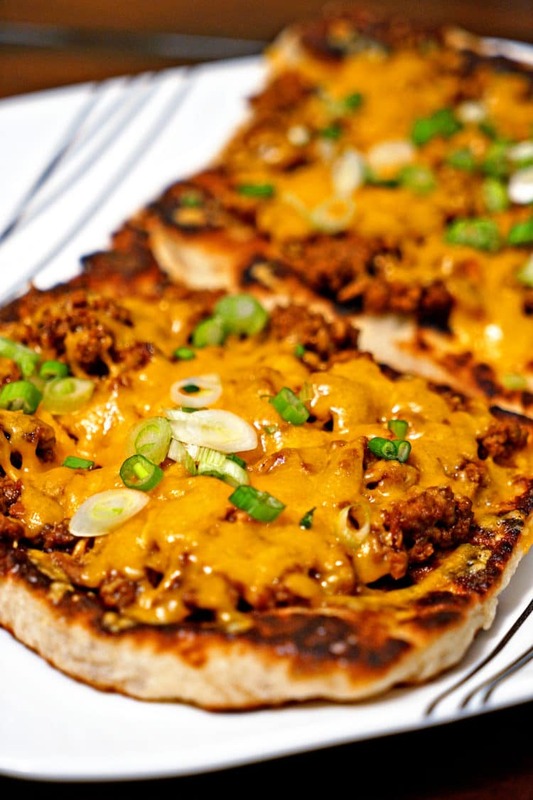 These Mediterranean Flatbread Melts are a fantastic lunch or dinner with a side salad. They come together rather quickly and hit the flavor mark for sure. And even if you’re not into lamb, feel free to substitute with ground beef. I like to make my own hummus, but feel to use store bought. I put garlic, tahini, lemon juice and parsley in with the garbanzo beans and purée until smooth in a food processor. One of my favorite hummus blends is my Cilantro Jalapeño Hummus, but in this version I used parsley and topped the lamb with feta for another flavor dimension. 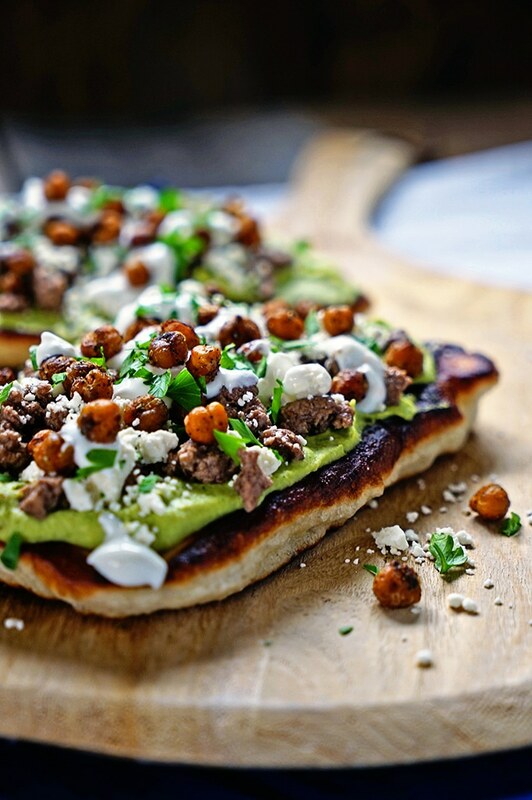 A quick pop under the broiler to melt the feta and then the flatbreads got drizzled with plain yogurt laced with lemon zest and topped with my Turkish Chickpeas and chopped parsley. I also use my Turkish Roasted Chickpeas recipe, but to make them quicker I pan fried the beans in the remaining oil after browning the lamb. Easy peasy, right? I thought so and man was this one killer meal. 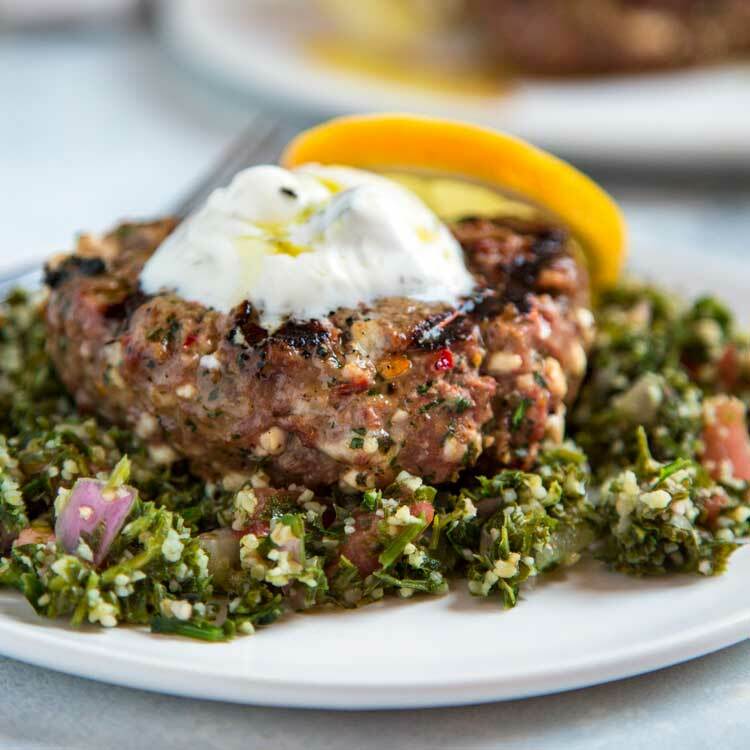 In a large, heavy bottomed skillet, brown ground lamb and 1 tablespoon of Turkish Spice blend with olive oil and break down into small crumbles. Remove from pan, drain on paper towel, and set aside. Reserve oil in pan. Set aside. Drain 1 can of garbanzo beans. Pat dry with paper towel and fry in skillet with remaining oil. 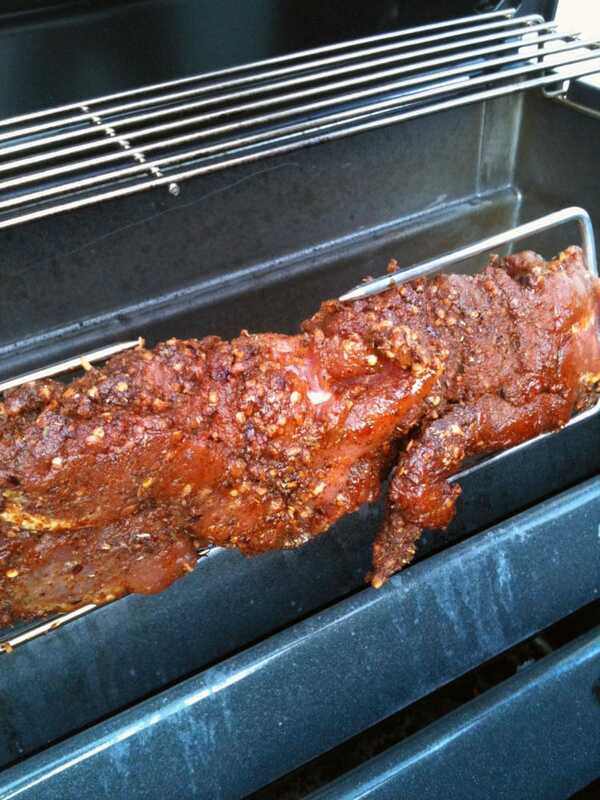 Season with 1 tablespoon of Turkish Spice blend and cook until crispy. Set aside. 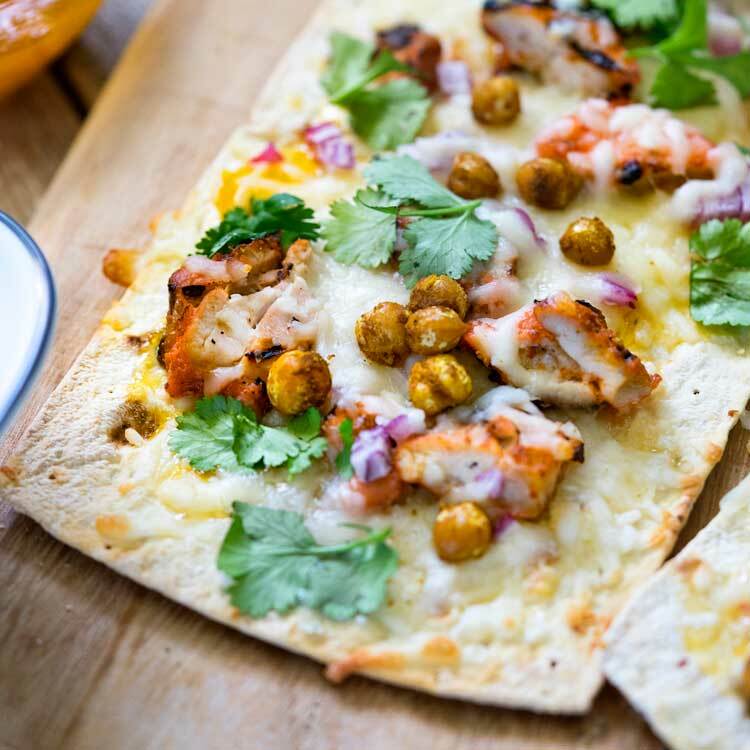 Spread 2 tablespoons of hummus on each fried flatbread. Top with browned lamb, crumble feta cheese on top and place under broiler for a minute to melt cheese. 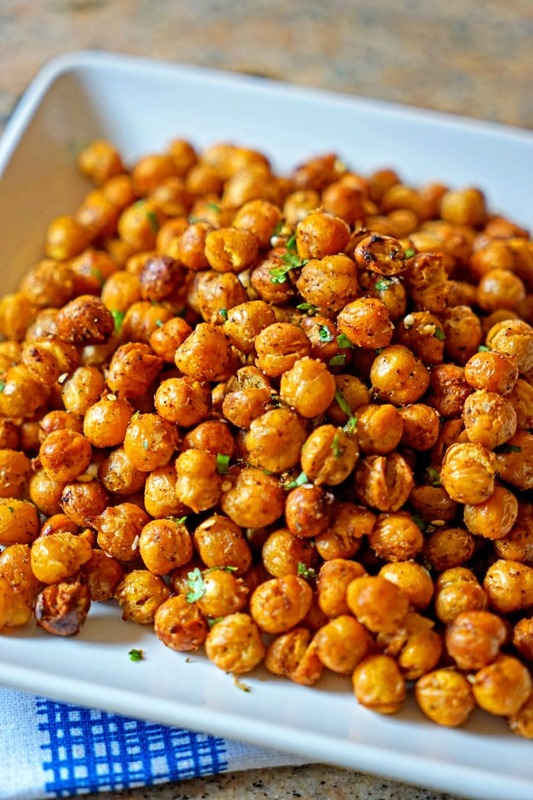 Remove from broiler, drizzle with lemon yogurt, sprinkle with pan fried chickpeas and top with chopped parsley. 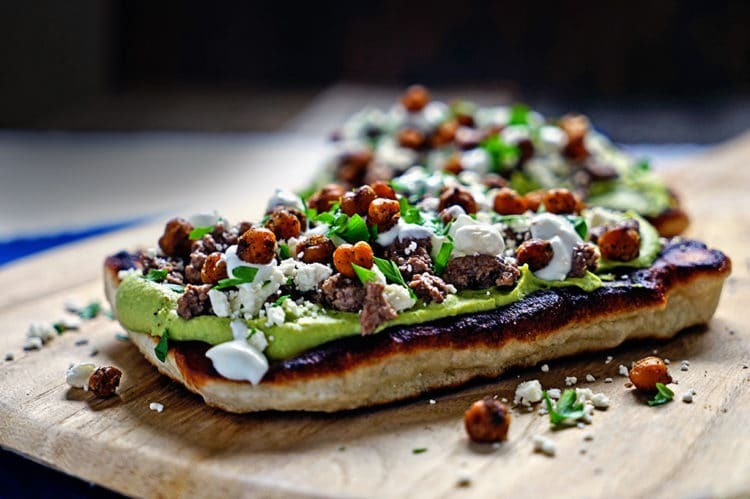 These Mediterranean Flatbread Melts are super easy, made with browned lamb, hummus and feta cheese and the flatbread is made with refrigerated pizza dough. Drain 1 can of garbanzo beans. Pat dry with paper towel and fry in skillet with remaining oil. Season with 1 tablespoon of Turkish Spice blend (See Notes) and cook until crispy. Set aside. This sounds incredible! Love the pesto hummus you’ve put on here. Yum! What a pop of color and big flavors you got going on here! That flat bread tough ..Amazing ! Thanks Florentina, it comes together quickly and has beautiful textures and big, bold flavors indeed! Hey Kevin! These flavors are calling to me! I can buy fresh pizza dough at my local market, so I would opt for that. With the hot weather upon us I’m thinking I might do these on the grill. Once again, thank you! Ooh Dorothy, on the grill sounds fantastic! I can always count on you for a big flavor fix, Kevin! 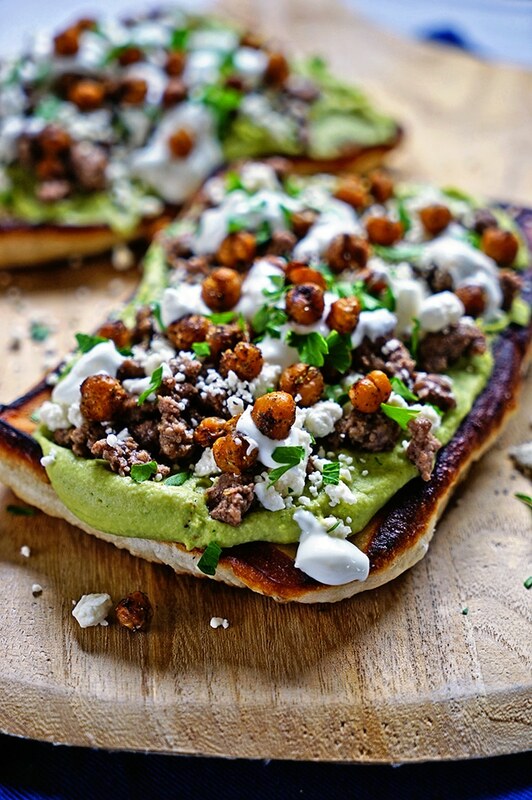 These flatbreads look mmm mmm good!! Thanks Coco, they were even better to eat! Kevin, this is the amazing stuff! 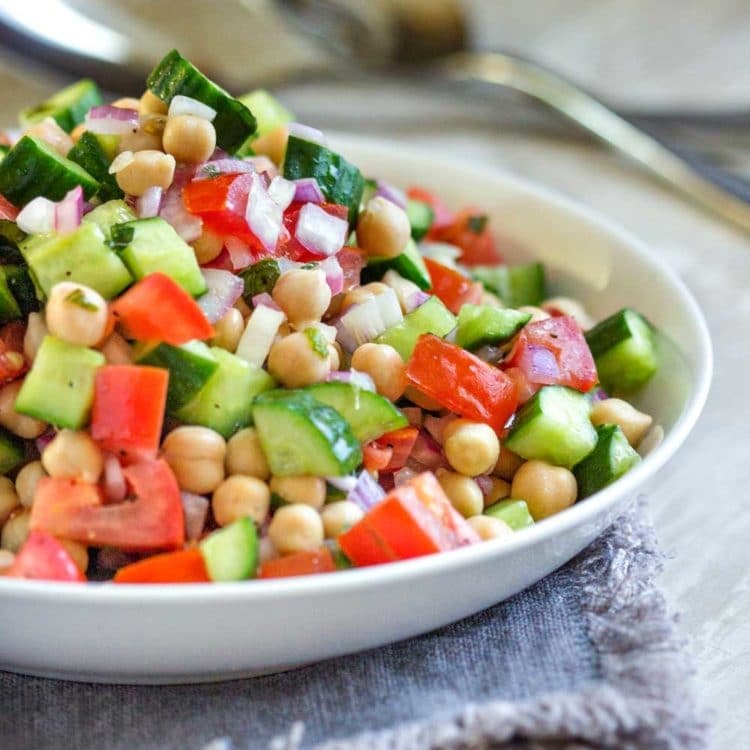 To be honest, I could easily eat all these elements separetly – they are so good, but blended together, the flavors and textures lift this meal up to a sophisticated level! Nicely done! Much appreciated Ben, it all came together rather easily. 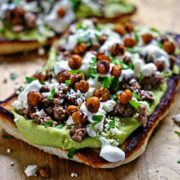 Some may think it is involved, but these are the type of items I have in my kitchen, but could easily be prepped and made into one amazing flatbread lunch – or dinner! Have a great day friend. Thanks Dave, it’s a quick and tasty one for sure! 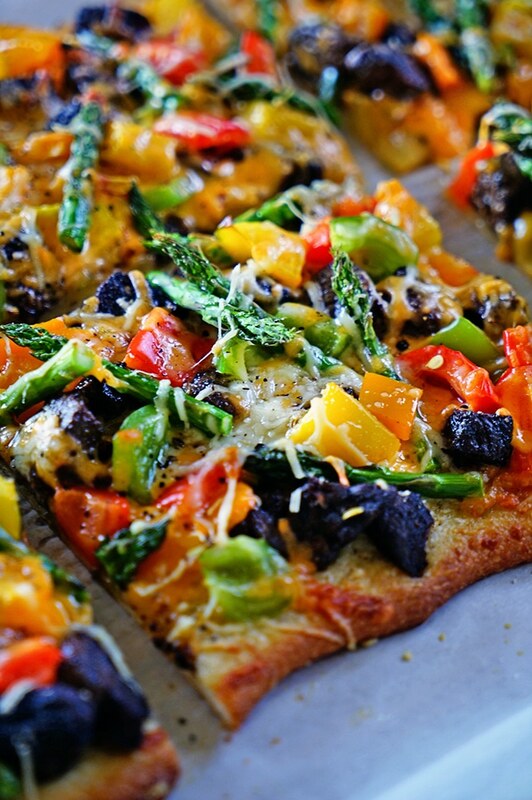 There is SO much awesomeness happening in this recipe. I’m in love. 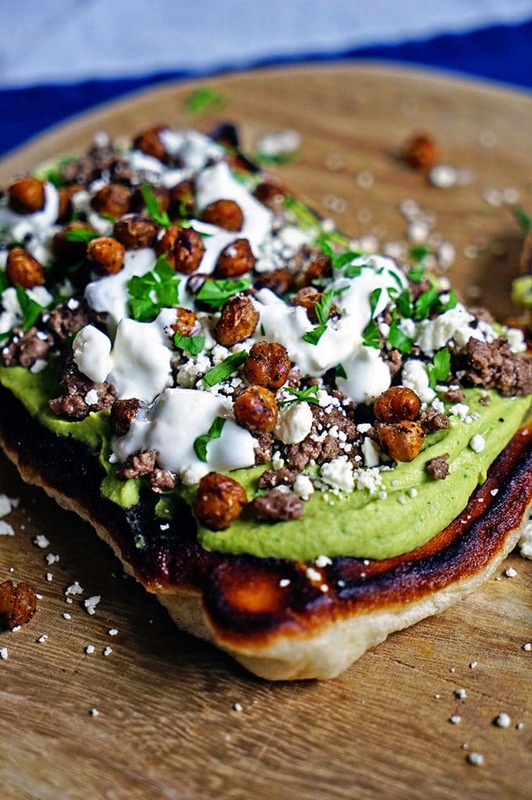 Way to knock this flatbread out of the park Kevin! Wow, thanks so much Lauren! I actually made them for lunch and the photoshoot and made them again for dinner! Have a fantastic day.